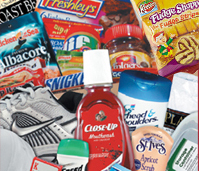 Union Supply Direct provides Family and Friends inmate package programs. Union Supply Direct offers offender and family package programs for either state-wide agencies or individual facilities. 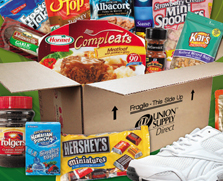 Union Supply Direct draws upon the entire range of products offered by Union Supply Company and Food Express USA to create completely customized programs. Union Supply Direct delivers quality and value while eliminating the chance of contraband entering your facilities in packages sent directly from family members. 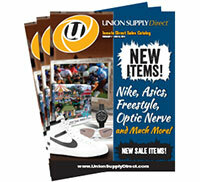 Union Supply Direct also saves you the time and money spent scanning and inspecting incoming packages. Union Supply Direct creates fully customized package programs to meet our customers’ specifications. We can offer monthly, quarterly, seasonal or holiday programs that allow purchases directly by offenders, or only friends and families. All catalogs, order forms, posters and web sites are provided at no charge and are created and supported by our in-house Art and Design department. Union Supply Direct provides up-to-the-minute reports on any schedule showing complete details of the financial performance and projections for your seasonal or ongoing package programs customized according to your requirements. Our Inmate Direct sales programs offer a wide range of all our products. These programs are ongoing throughout the year and usually allow both inmate and family and friends to purchase. Catalogs are customized with only the items approved for your program. Our seasonal programs are usually implemented quarterly (spring, summer, fall and winter). These programs offer all the same benefits and customization options as our Inmate Direct sales programs only during intermittent times throughout the year. Our holiday programs offer all the benefits and customization options as our Inmate Direct seasonal programs with special menu selections and services just for the holidays. Choose from our custom CD program or standard CD’s. A Union Supply Media custom CD lets inmates choose individual tracks to create their own personal mixes. This freedom of choice increases sales and inmate satisfaction and gives management complete control of the content sold in their facilities. Union Supply Media can create, label and ship custom CDs almost instantly with our high-speed CD writer. Union Supply Direct offers an entire catalog of religious and devotional items so that all offenders can be served by one vendor with a completely secure, transparent distribution system. 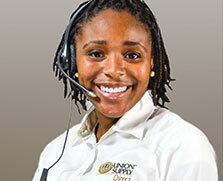 Union Supply Direct provides a fully bi-lingual, in-house call center for Friends and Families of offenders.